Home » Crypto » CarSmartt® proudly announces the release of their New Supernova Bitcoin Mining Server. Palo Alto, CA — July, 25, 2018 CarSmartt®, (OTC:CRSM),is pleased to announce they have begun deployment of the Supernova Bitcoin Mining Servers designed to perform in warmer temperatures than many of the current top selling Mining Rigs . Our COO Mr. Visconti commented We have begun deployment and Benchmark testing of our Company branded Supernova mining Servers at our South American Mning facilities. The company felt these warmer climate locations would be the ideal location to accurately document the Supernova’s ability to run effectively at much higher temperatures than many of the leading mining rigs currently on the market. As the quest for lower electricity rates for mining has expanded globally the company felt this was an ideal time to release a Mining rig that performs well at higher temperatures which will allow miners to tap into lower electricity rates in several previously untapped warm weather Countries. The Supernova’s will be sold through our Mining Boys store and website. The company also intends to expand sales of our Supernova Servers through a network of resellers. Additionally the company has begun using the Supernovas for our own Mining operations. The Company is pleased to report they have returned to treasury and retired 325 million common shares. Current CRSM Common shares Outstanding has been reduced to 381,465,001. The float remains 40,168,751 shares. The company will also be lowering the Authorized Shares with the Nevada Secretary of State. 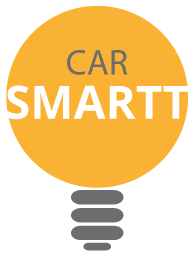 CarSmartt(R) Inc. is a startup company of the revolutionary APP.CARSMARTT.COM a ride sharing concept located in Palo Alto CA. (Silicon Valley), at CarSmartt(R) we aim to make long distance traveling safer and more affordable, while connecting with people along the way. CarSmartt(R) members can choose to share a ride or ship a package with the option of applying insurance coverage. All CarSmartt(R) drivers are subject to a background check to reassure the safety of passengers. CarSmartt(R) is currently now active in the USA, Italy, Mexico and Colombia. However, our company will soon continue to expand to Europe, Canada and Latin America. Mining boys, Inc. is a retail store of Mining servers in USA, a Florida corporation with its retail location at 531 Jefferson Avenue, Miami Beach, Florida, 33139, http://www.miningboys.com. Mining boys retail operations sell, own and host bitcoin mining servers. The Company has both retail and its own mining severs and receives profit from its retail sales and recurring revenue from its hosting facility in Georgia.